The California Board of Legal Specialization of the State Bar of California has recertified Attorney David A. Tatkin as a legal specialist in the areas of Estate Planning, Trust and Probate until 2017. A legal specialist must demonstrate competence, fulfill education requirements, and display a commitment to a particular area of law. Tatkin has practiced in the areas of estate planning, probate, trust and estate administration, and taxation for nearly 30 years. He is able to serve clients in both Arizona and California as a member of both the California and Arizona State Bar Associations. Tatkin is one of the founding members of the Maricopa County Bar Association’s Estate Planning, Probate, and Trust Section. In this role he has led the way for the high quality of estate planning available to the residents of Scottsdale and Phoenix. 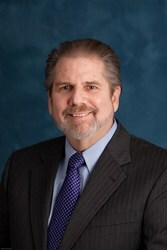 For more information on Attorney Tatkin or The Frutkin Law Firm, PLC, visit http://www.frutkinlaw.com . With offices in Phoenix and Scottsdale, The Frutkin Law Firm consists of ten attorneys with decades of experience in the core areas of civil litigation, business law, bankruptcy, and estate and tax planning. The Frutkin Law Firm, PLC was founded in 2007 by attorney Jonathan Frutkin with the goal of providing exceptional legal representation to clients throughout Arizona in business and corporate law and related areas, ranging from taxation and asset protection to estate planning. The Frutkin Law Firm helps businesses, individuals, and families in Phoenix and throughout Arizona with their corporate and business law, bankruptcy, taxation, asset protection, wills, trusts, and estates, and litigation needs. The firm has locations in downtown Phoenix and Scottsdale. For more information, visit http://www.frutkinlaw.com .